Creating your own infographic tasks can be time consuming though, so in this posting I’m presenting a number of generic ideas that should work with a number of types of infographic. You can use these ideas with students to help focus their comprehension of the information and give them clear goals for engaging with the information in the graphics. Give your students an infographic and get them to create a quiz based around it. Once the students have created their quiz they can use it to check the comprehension or knowledge of other students in their class. You can make this competitive and have teams to quiz each other. 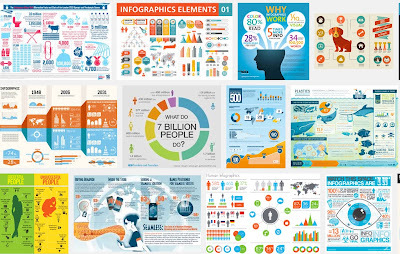 You could also have different infographics for each group and they can exchange questions and infographics. This activity has a duel role in that students need to read through the infographic and understand it in order to create the questions, but they also practise formulating questions. The activity also adds an element of competition which some students find motivating and of course it saves you a lot of time creating questions yourself. Ask your students to find x-number of what they believe are the most important or significant facts in the infographic. Get them to justify their choice and explain why these points are the most significant. This activity encourages students to evaluate and make value judgements about the information they are being exposed to. It also reveals elements of their own value system and exposes them for discussion which can be very enlightening. Get students to check the sources of any statistics mentioned in an infographic to make sure they are correct and that the sources are valid. You could also get them to find supporting sources on other sites that either authenticate or contradict the statistics stated in the infographic. There’s a common joke that 83% of all statistics are made up. Often students tend to believe any information that they find online. This activity encourages students to be more critical and to check the validity of information they find. It also helps them to develop the necessary research skills to validate online information. 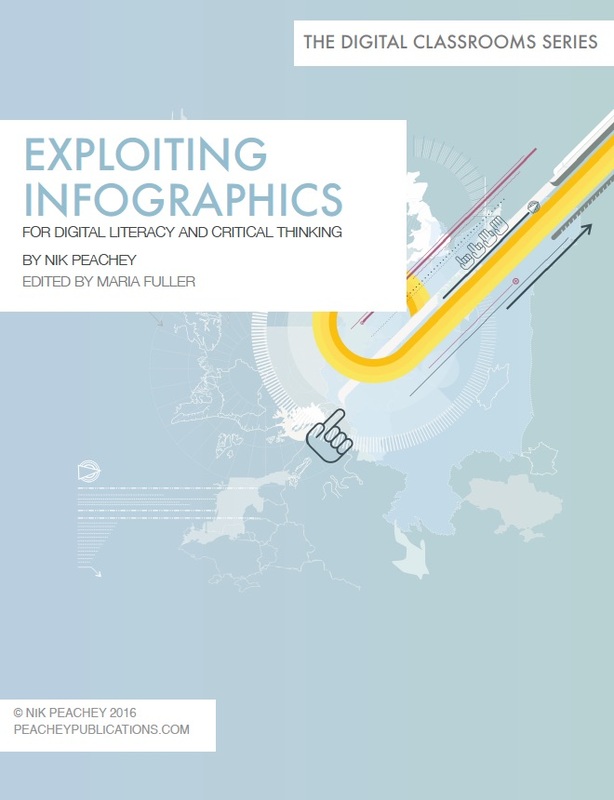 You can get students to find out where they fit within any infographics that contain personal information. You can also use this as a mingle task by asking students to try to find someone in the classroom who fits into any of the same statistics that they do. This encourages the students to apply the information to themselves and by personalising it can make it seem more real, memorable and tangible. This can make data a little less dehumanising. The mingle activity can also help to improve classroom dynamics and help students to get to know each other. Ask the students to find out who created the infographic and why they think it was created. This involves them researching the source and thinking about the relationship between the company that created the graphic and the information in it. This encourages students to think more deeply about information and to question the goals and motivation behind it. Students often think of information as neutral, but the way information is displayed and what information is chosen can influence readers. Pushing students to look more deeply at the motivations behind the information can make them more critical readers. 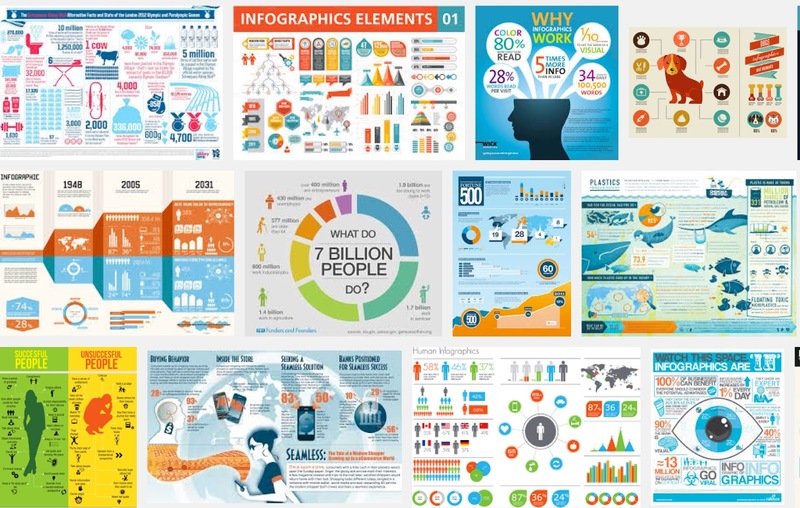 You can ask students for a range of personal responses to any infographic. Here are some possible example questions. What information do you doubt? What information would you like to share? Who with? Why? This encourages students to think about applying information and making it purposeful for their own lives. Encouraging a personal response from students can also make the lessons more meaningful and memorable for them. Ask your students to take notes about the most important information in the infographic and then use the notes to write a summary. The summary could have some form of publication as a motivation, such as a newspaper report website publication. Once they have finished a first draft they can exchange with another student and compare to see if they chose the same main points. You could also ask them to peer edit the text and then return it before writing a final draft. This can help to develop students process writing skills and academic study skills. It encourages students to evaluate information and make and articulate the connections between different nuggets of information. You can ask your students to prepare an oral presentation based on the information they took from the infographic. They can also prepare a presentation deck with images and text to help support their presentation. This can help to develop students speaking and presentation skills. The ability to present and talk about information is also a valuable workplace skill. Get students to create their own research questionnaire based around the same topic. They can use this either in class or share it through social media and collect the information for their own infographic. This develops students research skills and encourages them to think about the framing of questions to extract information. It also encourages them to think about how they present data once it has been collected.